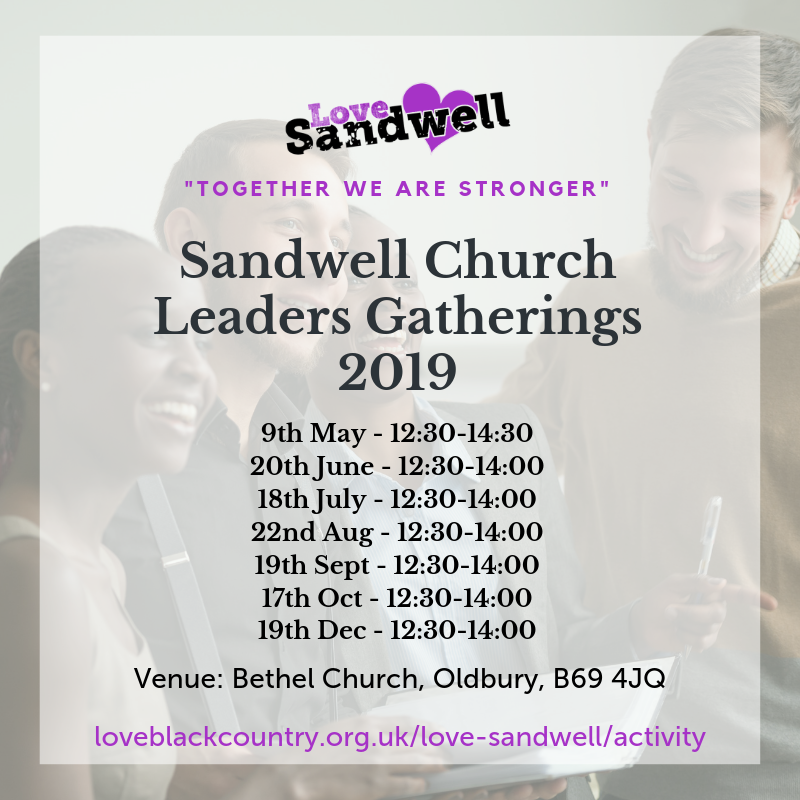 Love Sandwell meet in various capacities each month. We’d love for you to connect with any of them. Please get in touch to find out more information. We’d love to help you work with others to see the borough of Sandwell transformed. A group of Sandwell Senior Church Leaders meet monthly on a Thursday lunchtime. This space is intended to be a good way to engage with other leaders, build relationships, share resources as well as becoming a safe space in which to share and an opportunity to retreat and spend time with God together through mutual trust and accountability. It is also intended to be a space where we can be envisioned for what God wants to do in our borough. For more info, please contact Jon Grant - jon@lovesandwell.org.uk. In West Bromwich, Congregational Leaders meet to pray together at the West Bromwich YMCA Chapel on Wednesdays at 12:00-13:00. There is also a monthly West Bromwich churches prayer meeting held on a Tuesday night at various churches that are part of our network. Please visit to the West Bromwich Churches Network Website or email pastor@centrepointchristianchurch.co.uk for more information. 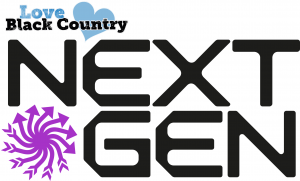 The next Sandwell Kids and Youth Hub meeting will take place on Tuesday 7th May, 7:30pm at Kings CC, Oldbury, B68 0JP., Please contact deb@loveblackcountry.org.uk for more information.